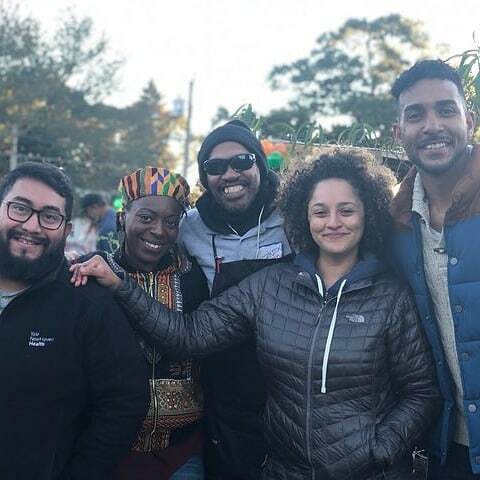 Bridgeport, CT food business owners Dave Benot of Dave’s Angry Sauce, Chef Raquel of A Pinch of Salt, and Marsha Jeune of Love Breakfast talk about their passions for food, supporting Black and Brown owned food businesses, and spreading fresh food love in their communities. 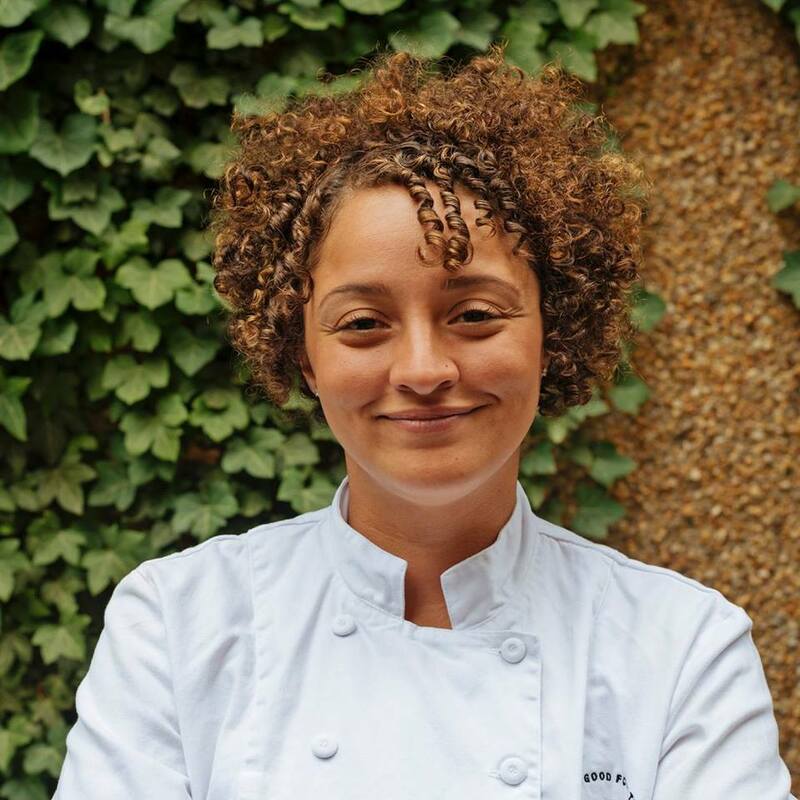 Chef Raquel has a magnetic energy about her that seems to make all those drawn to her shine as bright as she does. 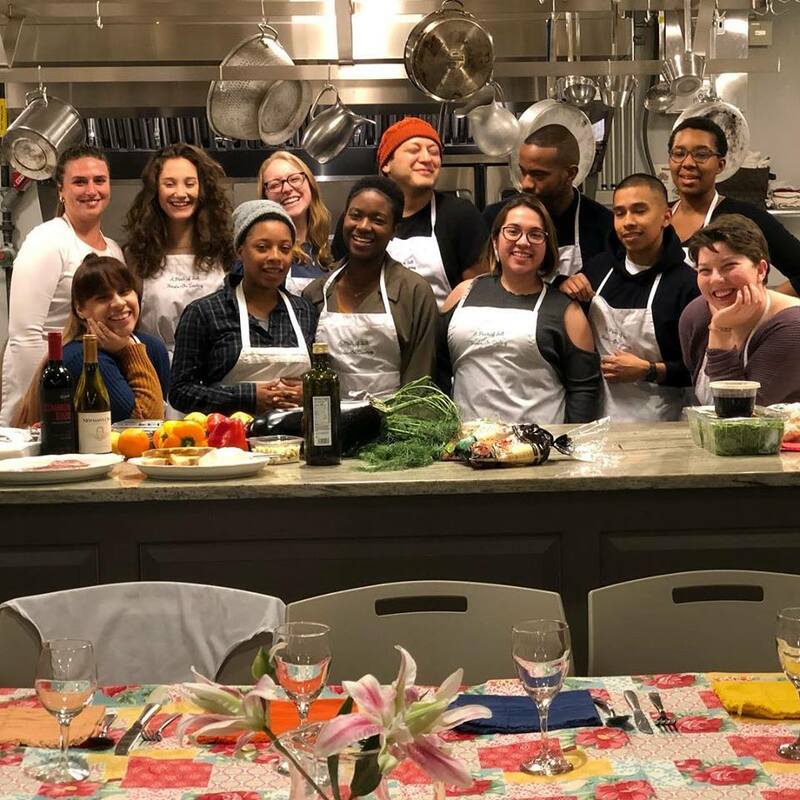 A Pinch of Salt, her culinary education and catering company based in Bridgeport, CT turns out delicious farm fresh food, as well as a budding crew of local food entrepreneurs. As a talented Chef skilled with farm fresh ingredients and a wide range of cuisines, Raquel’s cooking and classes reach across neighborhoods and towns in the highly segregated and diverse state of CT. As a chef who is also Puerto Rican and a woman, Raquel uses her skills and resources to train and uplift others, including many other Black and Brown cooks with a passion for good food. 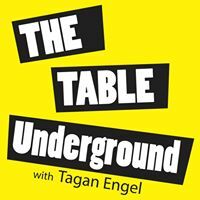 On this episode of The Table Underground, Chef Raquel is joined by two of her mentees: Dave Benot of Dave’s Angry Sauce, and Marsha Jeune of Love Breakfast. These three talk about the inspiration that drives their food businesses, and their collective desire to bring people together and build community around food. In addition to their individual businesses, these three are part of The Late Night Potluck Show, a new podcast on SoundCloud where a team of foodie entrepreneurs get together to talk about the food culture, business startups, entrepreneurship, restaurant reviews & so much more... 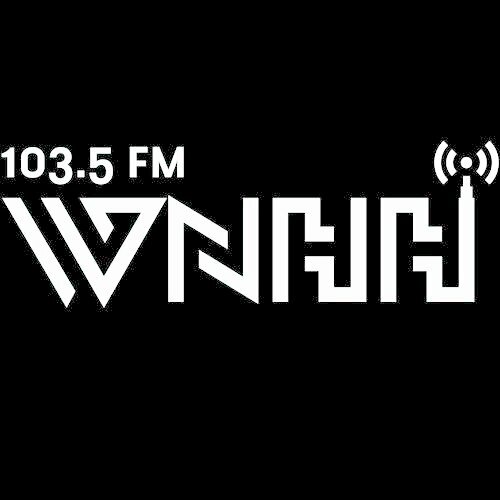 Check them out at midnight in the Night Owl studio (above). Thanks to the Downtown Special Services District in Bridgeport for the space to record this show! 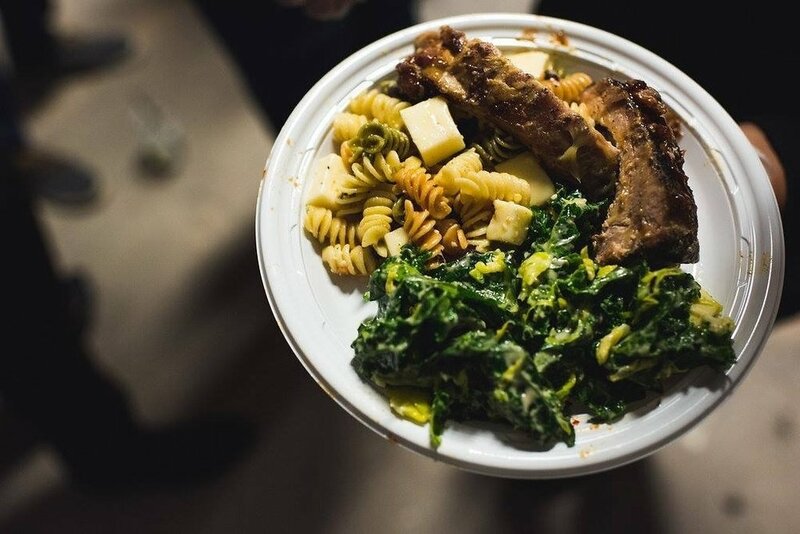 Raquel is a professionally trained chef who moved from NYC to Bridgeport, CT and has expanded her company A Pinch of Salt from culinary education into catering, job training, team building, and more. Her food is fresh, delicious and beautifully presented. Many cooks and entrepreneurs who go through her training programs go on to become staff in her catering company as well. 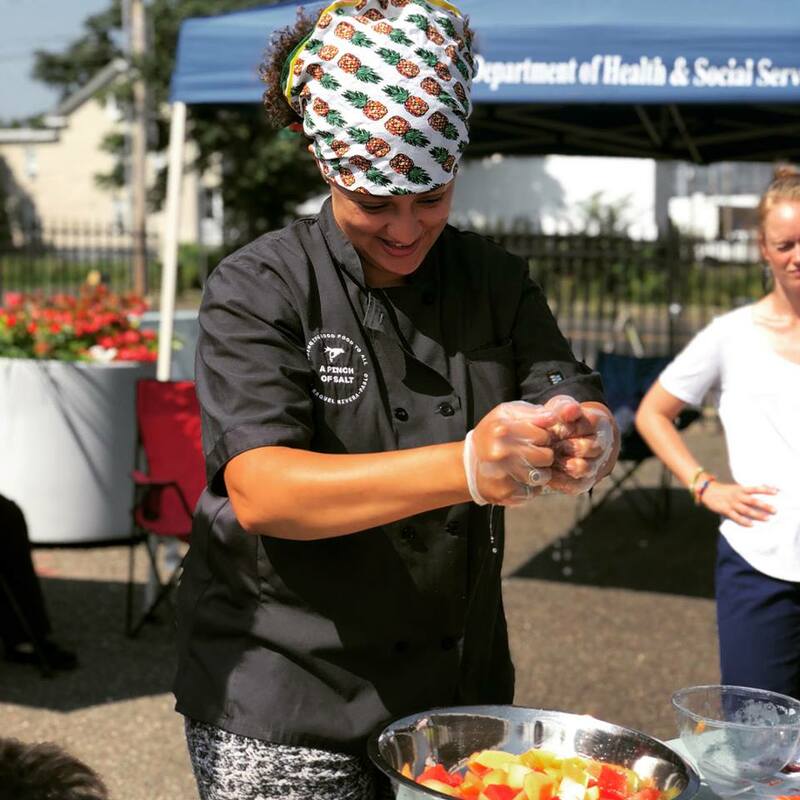 A Pinch of Salt has a tent at Bridgeport area farmers markets, and Chef Raquel coaches many of the entrepreneurs she has trained (many who are folks of color) to sell under her tent at the markets. This is a brilliant model for supporting emerging entrepreneurs and creating a community of skill, encouragement and visibility. 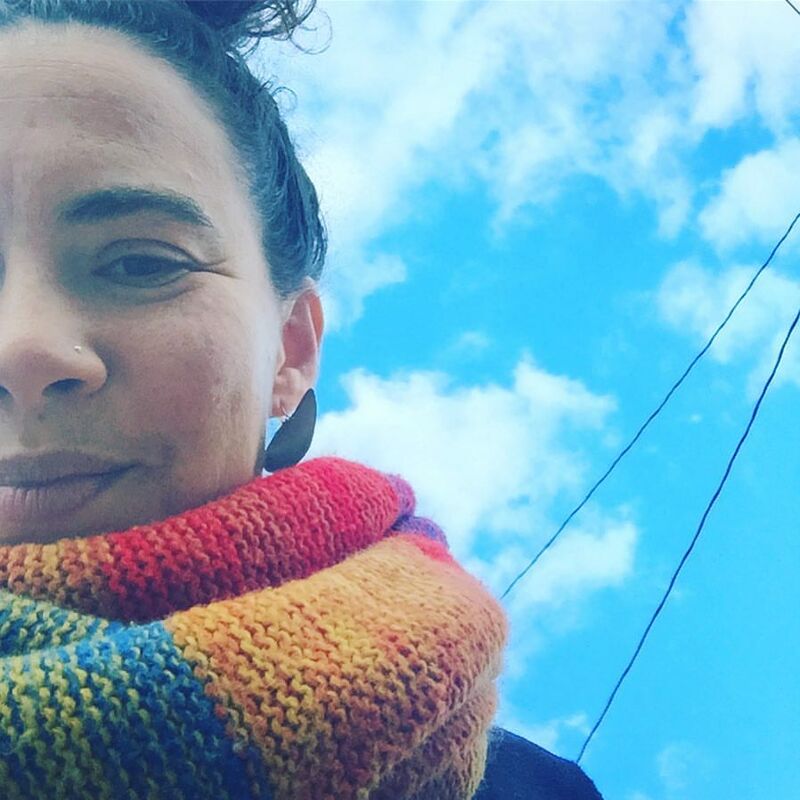 Raquel is one of those vibrant humans who thrives in any environment she finds herself in, meets people where they are at, and then encourages experimentation and learning with grace. I know I’m gushing, but seriously, she’s fabulous, and so are the people around her! Dave Benot fell in love with vinagre, a Puerto Rican hot sauce his family makes, as a young man. This love took him on a journey to perfect his own recipe and bottle it for friends and family, and now to launch it as a real business under the label Dave’s Angry Sauce. Dave glows with pride about his recipes, and if you taste his hot sauces you’ll see why. There are three flavors and heat levels starting with the Medium: Jalepeño Lime, Hot: Sweet & Savory Scotch Bonnets, and Hotter: Fire Roasted Habaneros. 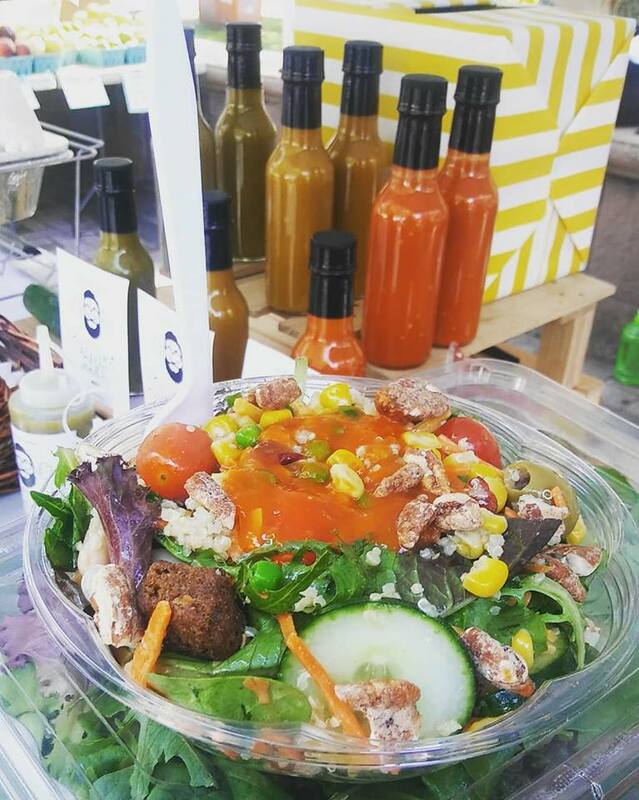 The sauces are fresh made in Bridgeport, CT and don’t have any sugar or preservatives. Dave’s path has recently taken him through the entrepreneur training program at A Pinch of Salt, as well as the Food Business Accelerator from Collab and CitySeed in New Haven, CT. He’s learning marketing and getting help navigating the complicated process of starting a full fledged food business. 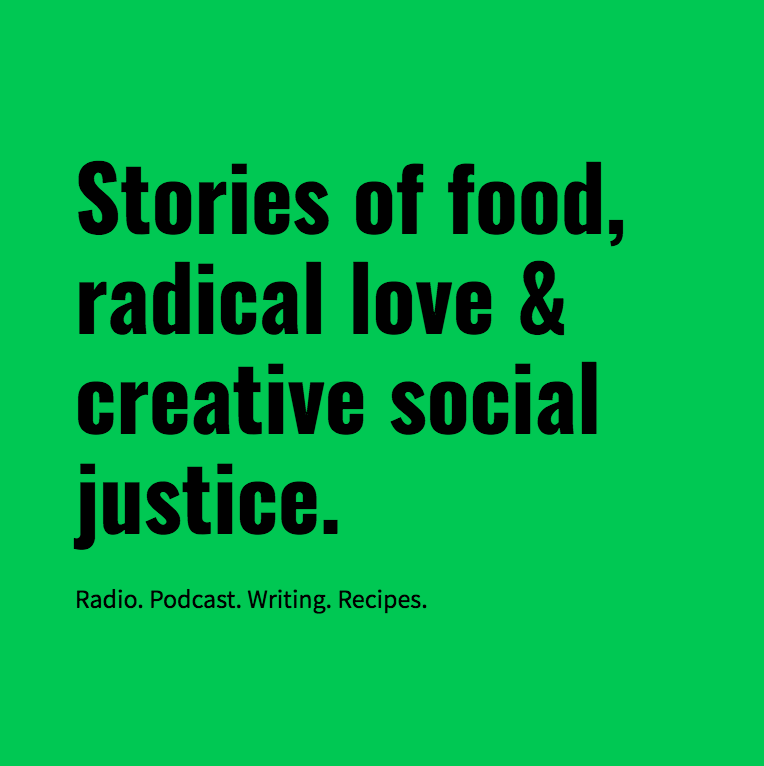 He was inspired by one of our past shows “Fighting for Micro Food Businesses” where we dig into some of the challenges and steps to setting up a small food business. Marsha Jeune radiates warmth and her face lights up when she talks about bringing people together around a breakfast table. She started her business Love Breakfast, to engage the community of people following her instagram feed, mostly populated with pictures of her golden banana bread and meals at fabulous brunch spots across the state of Connecticut. She started hosting meals and organizing group outings at local restaurants with groups of strangers who wanted to eat together and get to know each other. Recently some health issues have inspired her to start making some major changes to her diet, becoming vegetarian, and experimenting with gluten free and non-dairy recipes. She is hoping to evolve her community of followers as well as her breakfast menu in the process. You can follow her on facebook and instagram at Love Breakfast, and hear her dish on the Late Night Potluck Show. Listen in to hear hear so much more, and leave a comment below or on itunes to support our show!